It is with sadness and regret that we learned that photographer Glenn Jowitt died suddenly on 22nd July. Glenn is best known for his photography of Pacific people and their cultures, both in New Zealand and in the Pacific Islands. Glenn Jowitt. Lincoln St., Ponsonby, Auckland 1981. From the series: Polynesia Here and There. Cibachrome print. Purchased 1983 with Lindsay Buick Bequest funds. Te Papa. Glenn was born in 1955 in Upper Hutt. He studied art and design at the Ilam School of Fine Arts in Christchurch in the late 1970s, where he was inspired by photography lecturer Larence Shustak. For his honours project he undertook a photographic series on the horse racing industry. With characteristic entrepreneurship, and at a time when the number of monographs by NZ photographers could be counted on the fingers of one hand, Glenn succeeded in having his student work published by Collins as Race Day just a few years later. Glenn Jowitt. 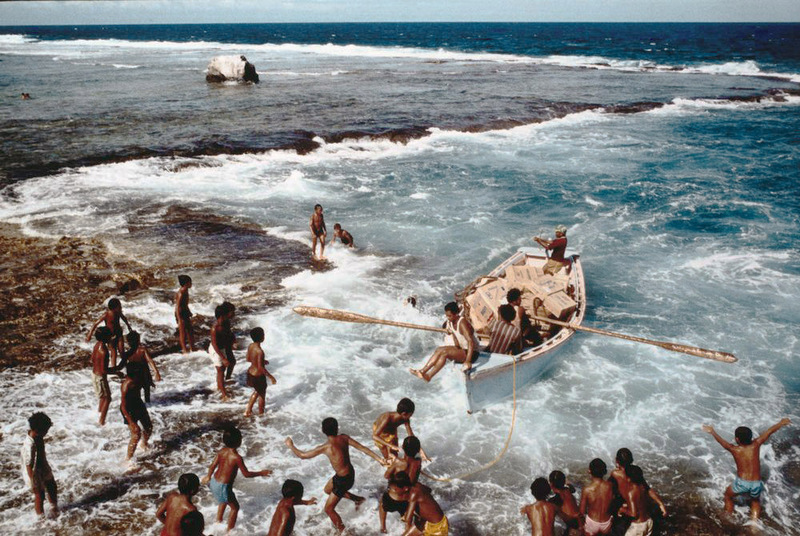 Mauke, Cook Islands, 1982. Published in New Zealand Photography from the 1840s to the Present, PhotoForum, 2003, p.73.